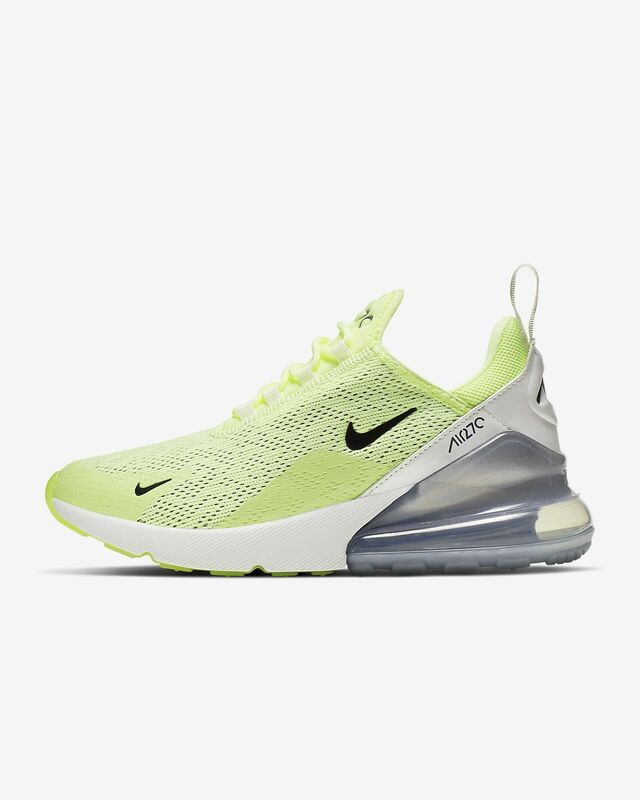 The Nike Air Max 270 amps up an icon with a foam midsole and a large volume Max Air unit that offers cushioning with every step. It features a stretchy inner sleeve for a snug, sock-like fit. DURABLE DESIGN WITH AMPLIFIED AIR. Textile and synthetic upper with stretchy inner sleeve creates a snug fit. 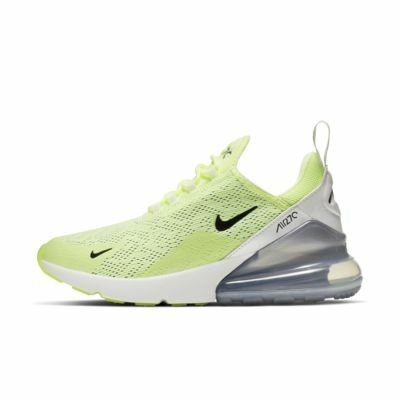 Foam midsole and large volume Max Air unit cushions each step.